Everyone loves a good game of darts — until the scoring gets complicated. This Arcade Style Cabinet Dartboard combines traditional dart aesthetics with the modern convenience of electronic scoring. 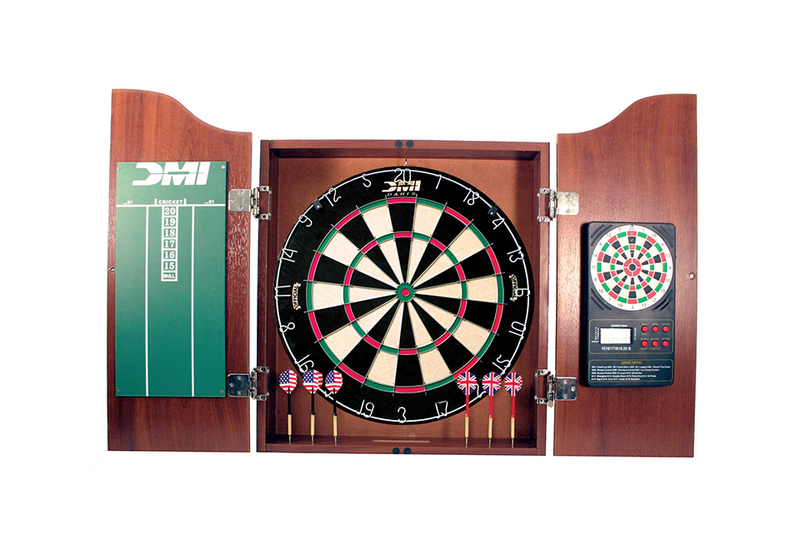 Includes a regulation-size 18" x 1.5" bristle dartboard, six steel-tip darts, a chalk scoreboard for manual scoring and a touchpad electronic dart scorer that handles 24 games (132 options) for up to 8 players. 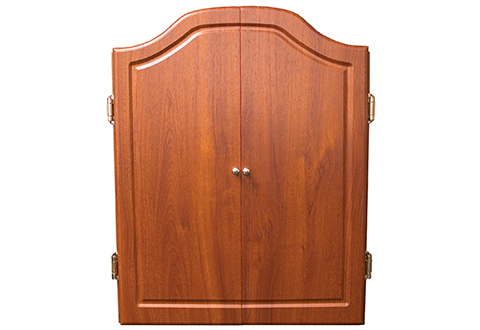 Handsome light cherry finish cabinet opens to protect your wall from stray darts and closes to conceal the board when not in use. Plugs into an AC outlet. 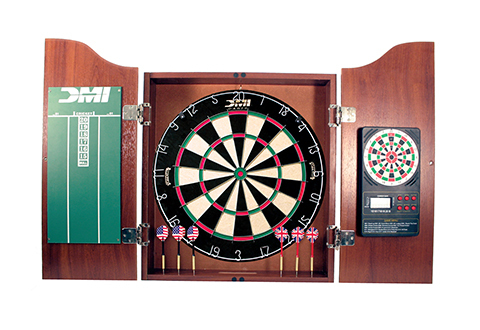 Enjoy pub-style dart tournaments at home with our handsome dartboard and cabinet set. It features an electronic scorer capable of scoring 24 games for up to 8 players!